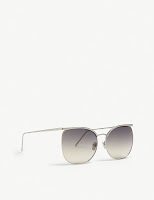 Fashion designer Linda Farrow was one of the first to treat sunglasses as fashion, she was a tireless experimenter, and Farrow pioneered many of the shapes and styles that remain au courant today. The brand was revived by her son in 2003 using the vast family archive and expanding the range. 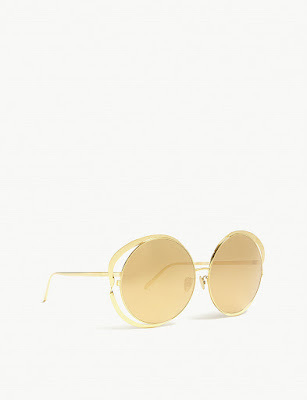 Synonymous with luxury, contemporary eyewear, Linda Farrow's latest edit sees the label put a vibrant twist on the signature shapes it's renowned for. 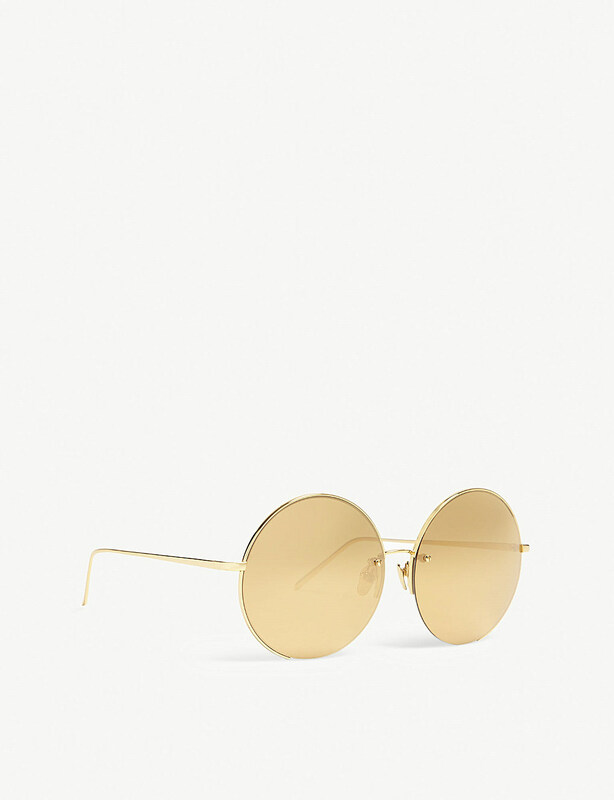 Handcrafted from 18-22 carat gold-plated titanium, the Lfl660 sunglasses boast large, perfectly round frames, given an ultra-feminine finish with the expertly sculpted ribbon trims around the shimmering mirrored lenses. Famed for pioneering many of the shapes and styles in the luxury eyewear industry, Linda Farrow combines exquisite craftsmanship with modern sensibilities in each design. Defined by their retro bohemian aesthetic, the Lfl626 round-frame sunglasses are fitted with mirrored lenses and slim arms with pointed tips, while the sleek gold-toned metalwork lends an opulent finish. Combining vintage shapes with striking modern details for over 40 years, Linda Farrow's eyewear is sought after all over the globe. A fusion of ash-tinted acetate and gold-toned trims, these boldly structured cat-eye sunglasses are complemented by textured metal at the temple, adding definition to the fluctuating arms which peak with Japanese bulb tips. Revered for pioneering shapes and revelling in striking feminine details, Linda Farrow's namesake label is coveted all over the globe. Defined by its floating effect, these square-frame sunglasses are designed with extended temples and a boldly shaped brow line, while the 18-22 carat white gold-plated shine extends from the curved nose bridge to the Japanese bulb tips. A key name in the world of stylish optics, eponymous label Linda Farrow has gained cult status for its pioneering designs. 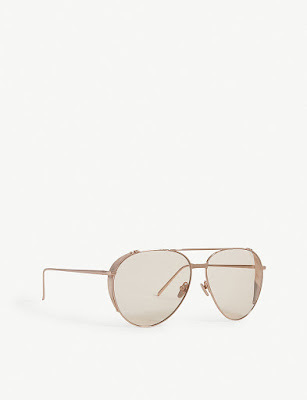 Entirely hand-crafted from 18-22 carat rose gold-plated titanium, the LFL425 aviator sunglasses are fitted with tonal lenses, finished with Japanese bulb tips and adjustable nose pads for superior comfort. At the forefront of luxury eyewear for over 40 years, Linda Farrow is drawn to vintage shapes and originality in its latest collection. 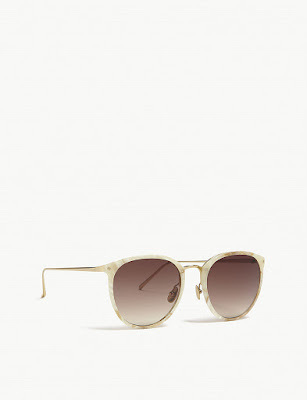 Super flattering with their oval silhouette, the LFL251 sunglasses encapsulate the label's taste for luxury, melding pale gold-plated titanium arms and nose bridge with Italian quartz acetate trims around the lenses, subtly detailed with a marble-effect print for a unique finish. 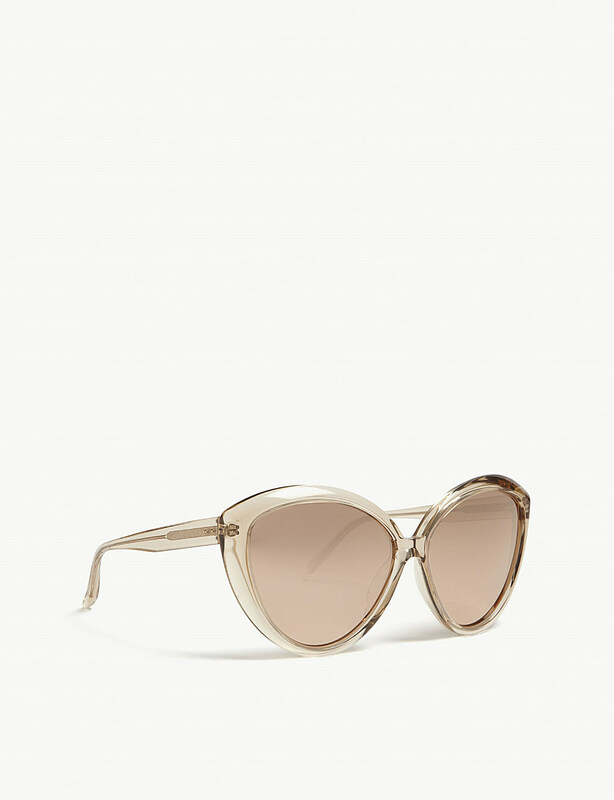 Established in 1970, Linda Farrow's reputation for tireless experimentation and pioneering new designs continues to show that its finger is forever on the pulse. 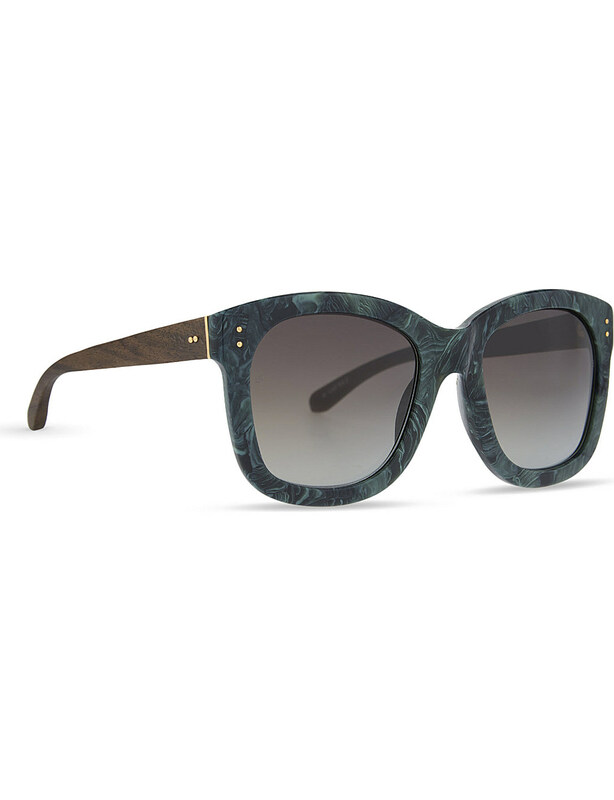 Drawing influence from the elements, these oversized D-frame sunglasses fuse wood-effect acetate arms and marbled frames for a smouldering result. Not a label to shy away from luxury appeal, the bold pair are made complete with gold-capped hinges and pins for a glamorous twist.